There is a trend in the world: heritage wines. After a boom of cosmopolitan styles and varieties in the past few decades, regional wines seem to have gained new prominence on specialised gondolas. From Greek, Georgian and Armenian specimens, elaborated with unconventional varieties and in unusual styles, to Criolla varieties, the universe of wine – at least in its most sophisticated version – points to authentic flavours from every corner of the planet. 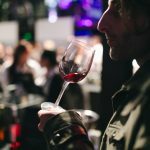 Sommeliers, with their noses sniffing the four corners of the globe, like the champion Angrid Rosengren or the Londoner Michael Sager, are looking for unexpected products for consumers. “We want to surprise,” Sager inspired the audience at the last symposium at the Institute of Master of Wine, in May, and finished up with: “We’re looking for wines that tell their own story”. Argentina has something to offer here. Although still incipient, the Criolla movement is gaining momentum with a growing handful of good wines, providing unique flavours from these lands. 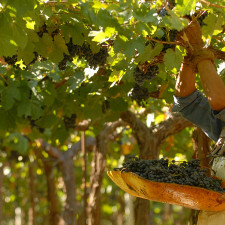 With examples such as El Esteco Old Vines, the most daring Argentine Criolla or the delicate Cadus Signature Series, this group of native varieties is beginning to gain a reputation on domestic and international shelves. Along side the development of heritage wines in the world, technicians from the National Institute of Agricultural Technology (INTA), with engineers Jorge Prieto and Santiago Sari, are beginning to explore the universe of Criolla. Since 2008, using DNA they have managed to uncover at least eighteen native varieties in Argentina. Up until now, Torrontés -in its three versions, from La Rioja, Mendoza and San Juan- has been the only Criolla with oenological potential with a certain projection in the domestic and export markets. But now, with research published by Prieto and his collaborators, he may have found new formula partners. 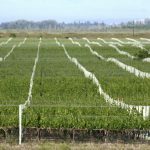 The engineers worked on the classification of at least eighteen Criolla varieties that were planted in the institution’s ampelography collection. These plants, have been collected since the 1940s in a series of trips made by other technicians gathering material. With current DNA tools, it is possible to establish what relationship exists between these Criollo grapes. 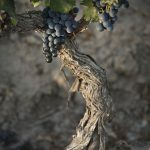 According to the research, the eighteen varieties studied are related to some degree, based on the fact that they have some participation of Listán Prieto, Muscat of Alexandria, Mollar Cano and even Malbec, and that the crosses were then between the Criollas themselves and other varieties. Thus, those typified by this research -with names such as Moscatel Apicia, Moscatel Amarillo, Criolla No. 1 and Canelón- offer a unique, Argentine heritage. But the technicians did not stop there. “What interested us -explained Santiago Sari at INTA recently- was to understand the enological potential of these grapes. So we made them in our experimental winery.” And at the beginning of last November, in a tasting for the press, we were able to taste outstanding samples of Moscatel Amarillo and Criolla Nº 1. Although the first one is a predictably terpenic and floral variety, the good mouth stood out, an attribute that Torrontés and Moscatel de Alejandría, distant relatives of Amarillo, often lack. As for Criolla Nº1, where Malbec is one of the biological parents along with Criolla Grande, the result is a perfumed and fruity red, with a medium palate and a loose mouth. A wine with a cordial flavour and feeling, perfect for the table. So, while specialists put their attention on flavours that are different and authentic, Argentina now has some unique varietals to offer, and it’s only just the beginning. Wineries are already exploring the possibilities for Criolla grapes, from sparkling rosés to light reds with marked colour and flavour, such as those already available on the market. 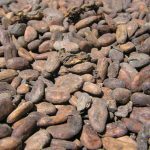 Meanwhile, the varieties described by INTA are still in the experimental phase and do not have a scale yet to be replanted, although this may be resolved in the medium term. It’s important to start developing styles of wine that serve to impress the most sophisticated of palates. In February, Argentina visited the Wine Explorers project, which seeks out, both here and in the rest of the world, those rare, unique wines. Although the idea of Criolla is in the development stages, they’re having their five minutes of fame. Joaquín Hidalgo (36) hails from Mendoza, where he received his title of winemaker from the Liceo Agrícola. He graduated as a journalist from the National University of La Plata, and since 2003 has been living in Buenos Aires where he writes about wine and food in major national media: wine writer for JOY magazine and Planetajoy, he is a columnist for the Sunday edition of La Mañana de Neuquén and La Nación magazine (2014). He co-edited the Austral Spectator wine guide between 2011 & 2013, the year in which he launched Vinómanos, the first mobile app guide to Argentine wines. He sharpens his creative wit in his blog, Bien Jugoso (planetajoy.com/bienjugoso).